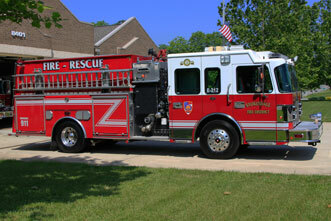 Engine 212 is our second out engine and it is a 2003 Spartan/M&W. 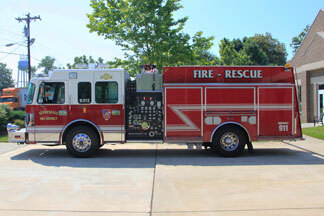 Engine 212 has seating for a crew of 4, which includes a driver/operator, an officer, and two firefighters. 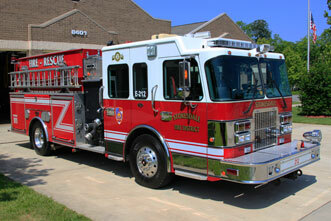 Engine 212 has a 1500 gpm pump and carries 1100 gallons water. Engine 212 also carries a 30 gallon foam tank when foam is required at an incident scene. 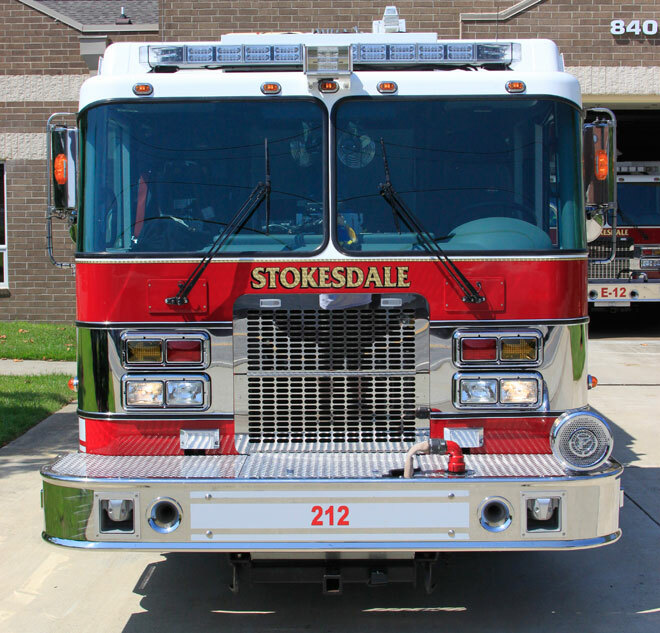 Engine 212 has a 10” rear dump to supply the 2100 gallon drop tank it carries on board or to supply another stations drop tank. 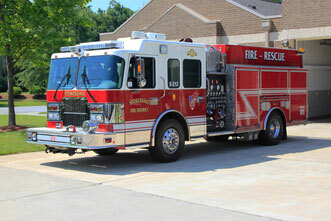 Engine 212 carries a full compliment of medical equipment, extrication equipment and a stowable light tower.